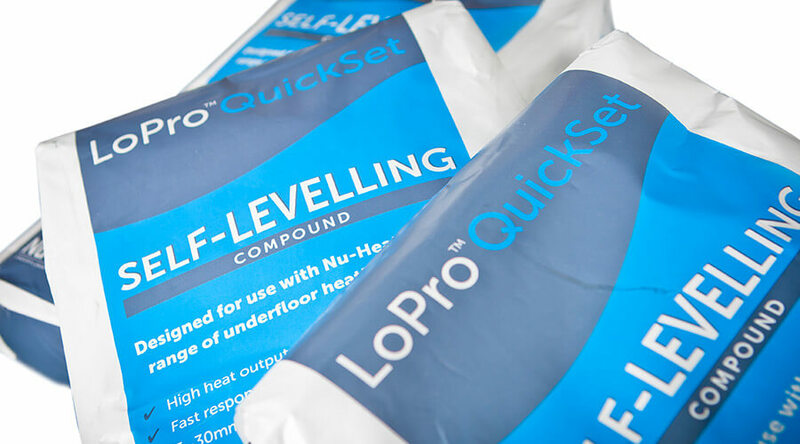 LoPro®QuickSet is a specialist self-levelling compound specially formulated for use with our LoPro® range of underfloor heating (UFH). 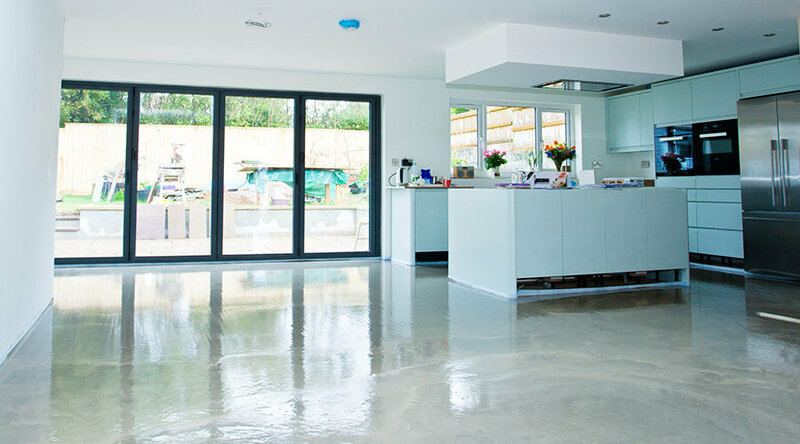 It is a single part cementitious floor leveller containing a compound of specially graded fillers, fine cements and polymers, which is mixed with water. Once dry, LoPro®QuickSet is extremely conductive. LoPro®QuickSet is used in both LoPro® systems. 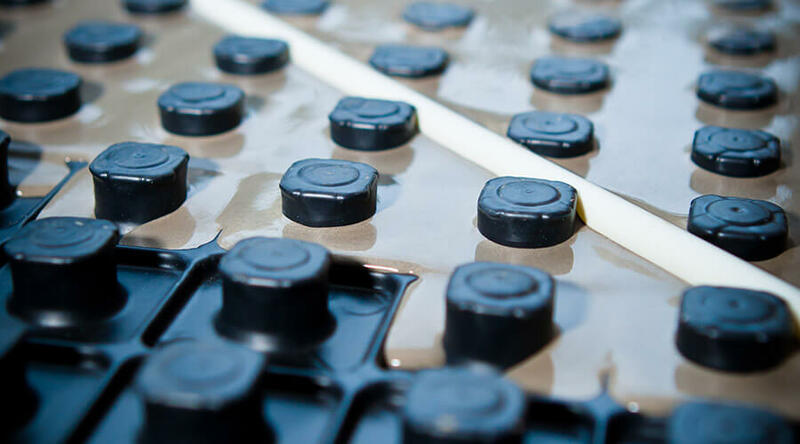 In LoPro®10, a small amount of compound is used to cover the areas of castellated panel that lead the UFH tube from the pre-routed boards back to the manifold. In LoPro®Max, a slim layer of compound (22mm) is used to cover the entire floor once the tube has been laid. Because this system is completely covered in the conductive compound, it is able to produce a superior heat output that we have tested to over 160W/m². This higher output makes LoPro®Max ideal for renovation projects where there can be large amounts of glazing or the insulation is difficult to improve. Depending on the size of the project, you can either mix the compound by hand with a paddle mixer in a bucket or use a forced-action mixer. Self-builders and installers should be able to lay LoPro®QuickSet with clear instructions and we can always give you some advice on the best way to go about this. For example, if mixing by hand, it’s best to split larger rooms into more manageable, smaller sections, as the compound has a working time of 30-40 minutes. For whole-house renovations and big spaces, it is much easier and quicker to hire a machine to mix and pump the compound. You can hire forced-action mixers for a small fee from builders merchants. Nu-Heat also offers a network of compound contractors, based around the country, who can come in and carry out this final stage. Please get in touch for more details. For more info on LoPro®Max, where LoPro®QuickSet is a key component, visit our website. See LoPro®QuickSet being poured in this installation video. You can also give us a call on 01404 540650.